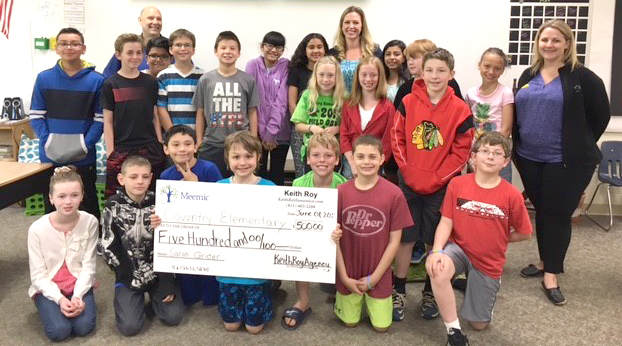 Congratulations, Coventry Elementary and Indian Prairie Elementary in Crystal Lake, on your Meemic Foundation For Our Schools grants. Coventry (pictured) was nominated by Sarah Grider, and Trisha Mitchell nominated Indian Prairie. Keith Roy from the Keith Roy Agency in McHenry and Meemic representative Abbey Falasz presented the awards.